The Saddle and Pony Saddle seats, part of Humanscale’s award-winning Freedom seating line, are the most comfortable and versatile stools ever made. 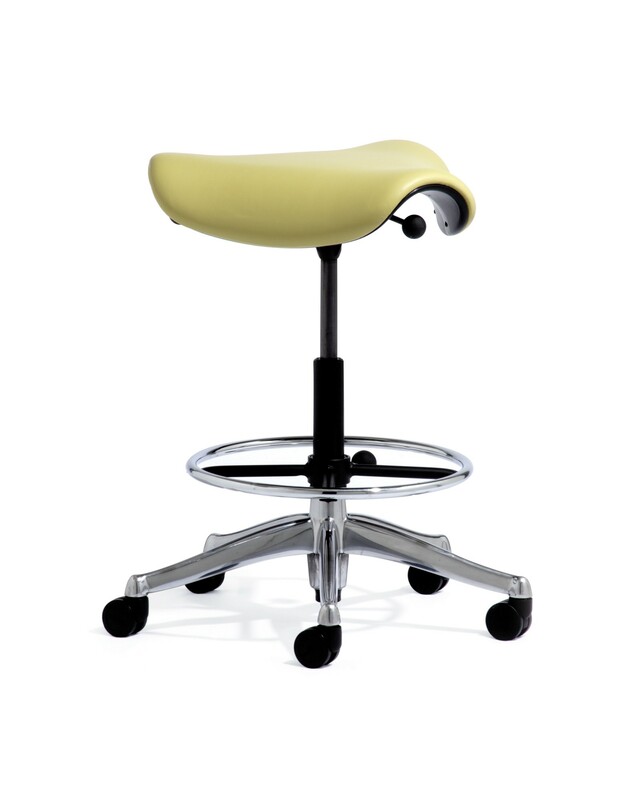 The original Saddle and the more compact Pony Saddle accommodate comfortable seating in countless applications. These stools encourage you to sit in a saddle posture, which lowers the thighs, opens up the hips and puts the spine into a healthy lordotic curve. The stools are ideal for shorter term sitting—or even for getting your feet up off the ground by using it as an ottoman. Free shipping in continental US. m Foot Ring Diameter 18" or 21"
n Foot Ring Height Adjustment (from floor) 6" - 11"